During the summer months, visiting ministers hold interdenominational services each Sunday at 10:00am. Outstanding vocalists and musicians provide special music each Sunday. 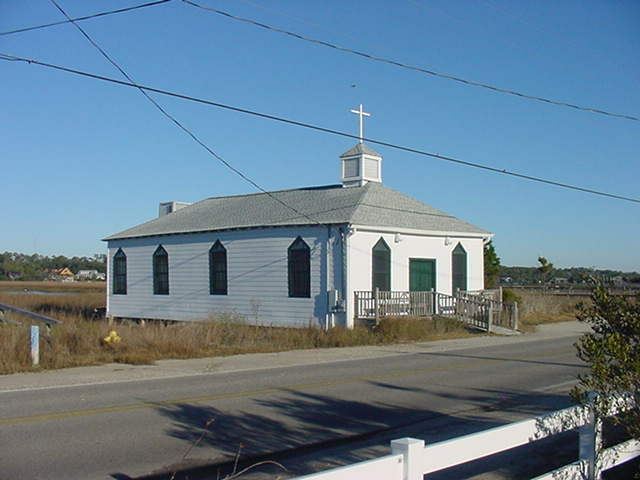 The Chapel stands on marshland donated by Dr. and Mrs. J.H. Porter. Originally built in Georgetown, the building was home to the Pentecostal Holiness Church. The building was dismantled and rebuilt on the Island lot in 1946. 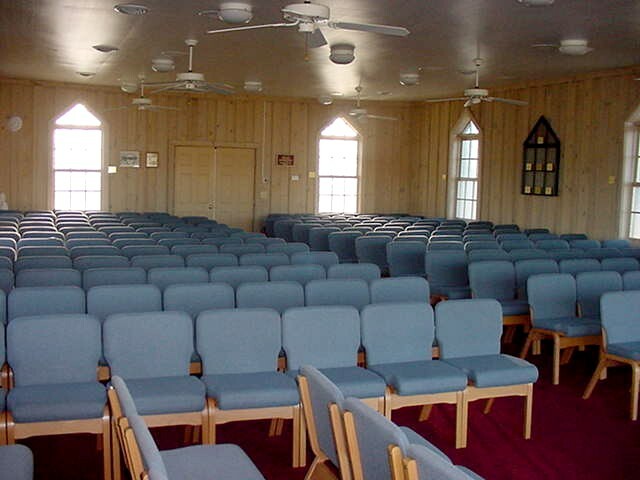 The Chapel had extensive renovations in 2005, including new siding, roof, windows, seating, as well as central heat and air conditioning. 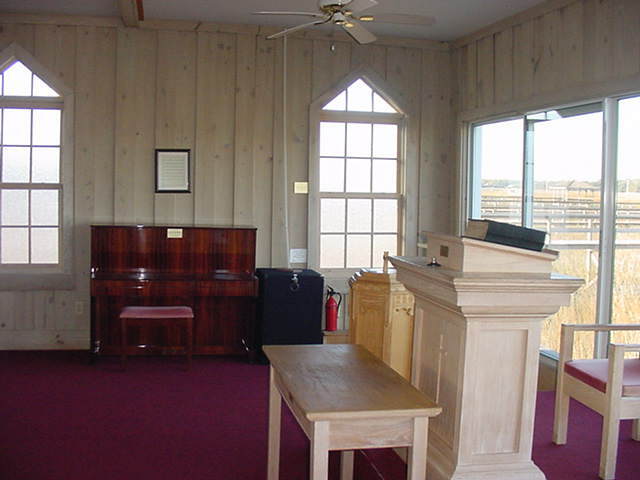 Many summer residents and locals have generously supported the Chapel through the years. 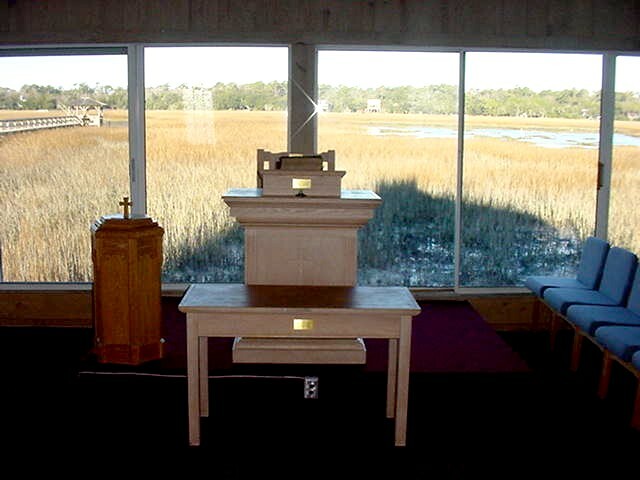 The Chapel survived three major hurricanes- Hazel, Hugo and most recently Matthew. 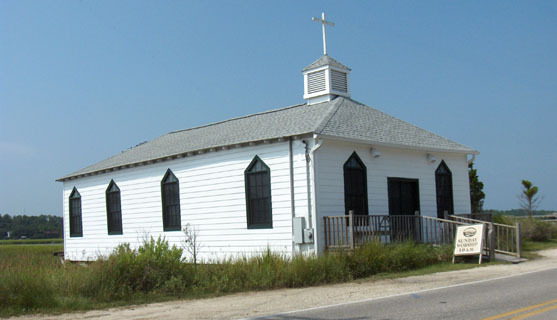 There was severe damage after Hugo; however, contributions from hundreds of people and the Pawleys Island Rotary have helped finance the restoration. 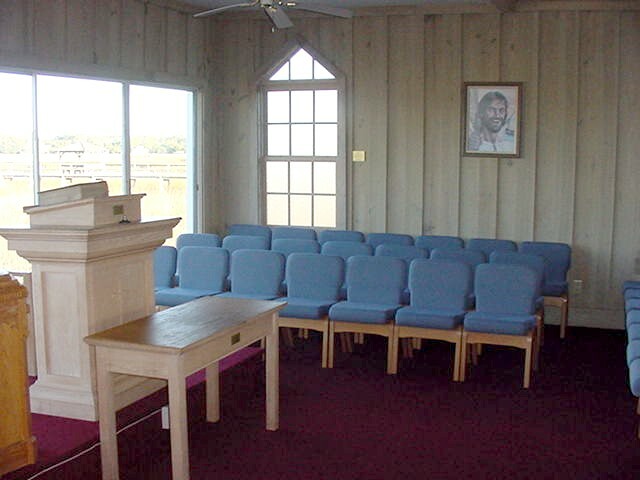 The Chapel is a beautiful setting for Weddings, Christenings, and Memorials from September through May. All ceremonies must be conducted by an ordained minister. The Chapel will seat approximately 150 people. Reservations are handled through Pawleys Island Realty. For details and to confirm your date is available call (843)237-2000.